Do you own a business? Regardless of the industry you cater to, you should understand that there are certain kinds of equipment which are absolutely essential for your business to run smoothly. And one among these is the printer. Although most of the office functions on soft copy these days, there are certain documents which you need in hard copies. So, a printer is extremely handy at your office spaces. We, at Excel Business Systems, can be the right choice for you. 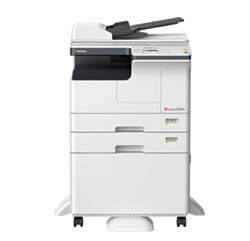 We are the authorized dealers of Toshiba and are known for our highly efficient, durable, and smart office printers which come with a generous period of warranty. We also offer a 3 or free service guarantee which means that if you are not able to contact us within 180 minutes, your next service will be completely free. So, if you are from areas such as Chisholm MN, Eveleth, Grand Rapids, Hibbing, or Virginia MN, you can resort to us. Here, we have enlisted a few of the most common things you need to check about your printers. Take a look. You should keep an eye on the latest features of your printer because the more latest it will be, thee more advanced a service it will be able to provide you with. So, it is crucial that you check the features before buying. You should make sure that the printers you are investing in for your office come with a good period of warranty because you must make sure that these last for long. Moreover, a company that believes in its own product quality will give you a long period of warranty. So, this will help you make a wiser choice. After checking these things, if you want to place your order at us, call us at 218-263-6814 now.